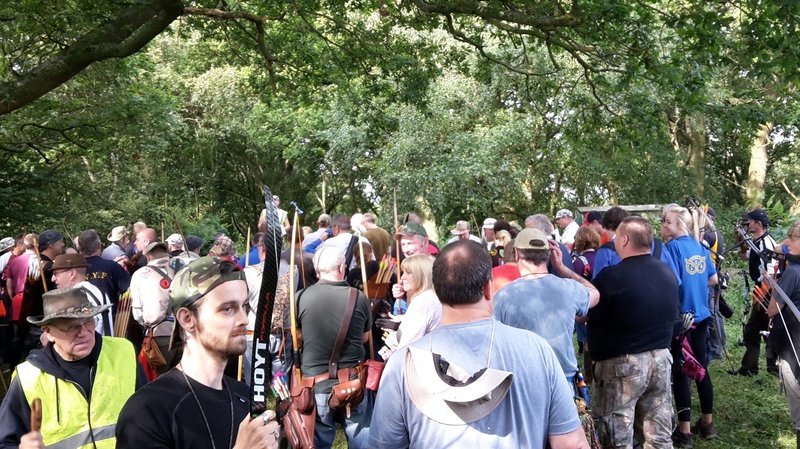 So Sunday saw us once again packing the car for a journey north up the motorway towards Stoke on Trent area, this time for the Wolverine Archers NFAS shoot. 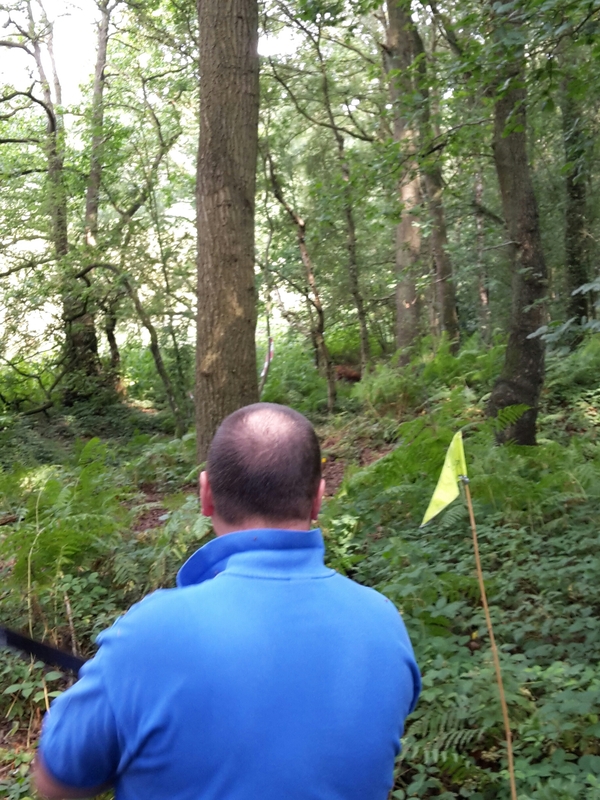 Both of us were feeling tired before we even started the shoot, having been at the SVYF wood all Saturday helping set up half of the new course. 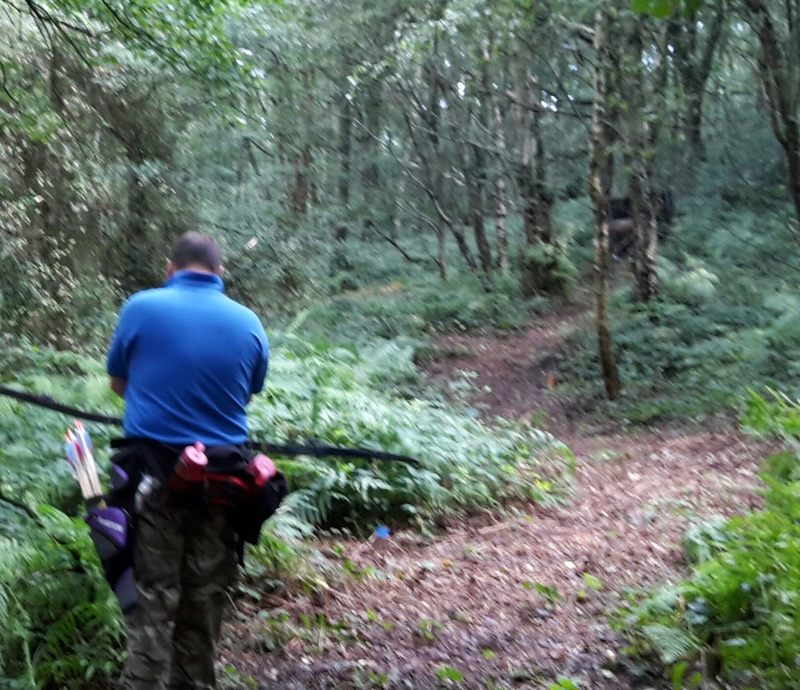 It was a very warm Saturday to be clearing undergrowth and setting 18 new targets, but it was done and we even managed to shoot it. Anyway on to Wolverine’s shoot, past reviews can be seen here. Sunday morning started dry, warm and sunny and unlike the previous week the motorway wasn’t that slow. 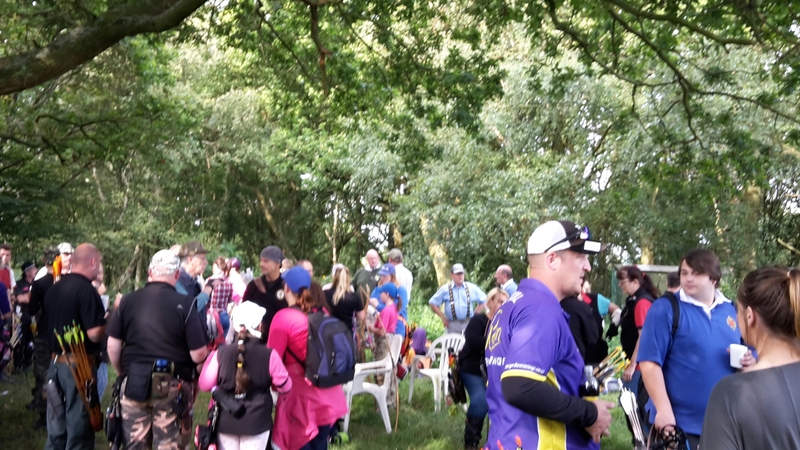 I think some archers may have been put off by the forecast of heavy rain later in the day, as admin at the shoot had to do some rejigging of groups for cancellations and no shows. 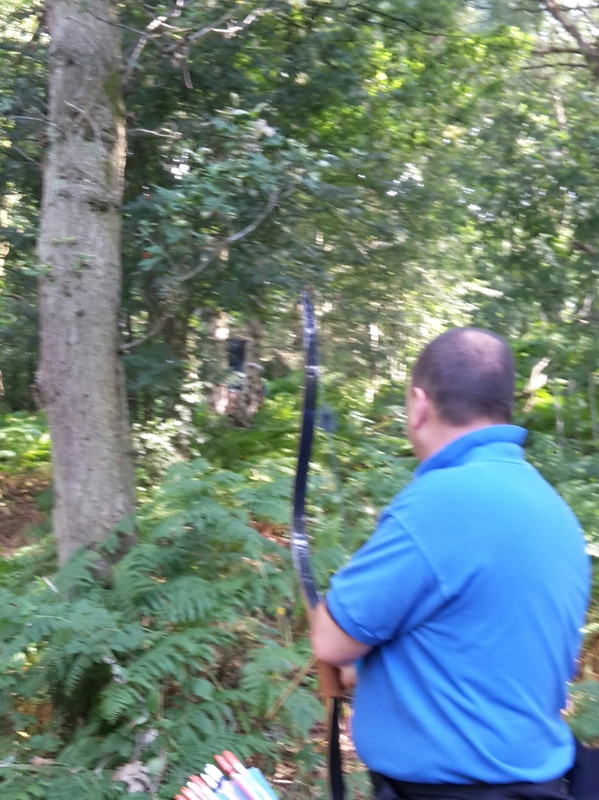 As it was we ended up shooting with Adrian and his daughter Emily from Lyme Valley club both shooting hunting tackle class. I know some people are not fond of shooting in a group with a child but I must say Emily was a great sport, even when the heavens opened in the afternoon and it was raining she focused on shooting, being a credit to her family and club. Wolverine always set a challenging course and Sundays was no exception with our first target being a downhill paper face fox. The course was a mix of paper faces and 3D targets and yes, there was Kong in the field. 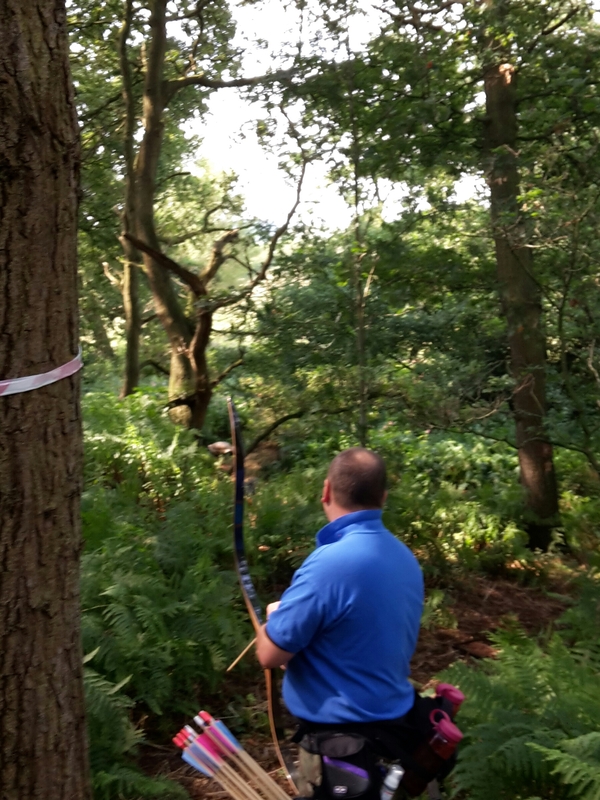 Like Lyme Valley, Wolverine operate a lunch break where all shooting stops to allow archers to get safely off the course. This gave us time to grab something to eat and the umbrella. 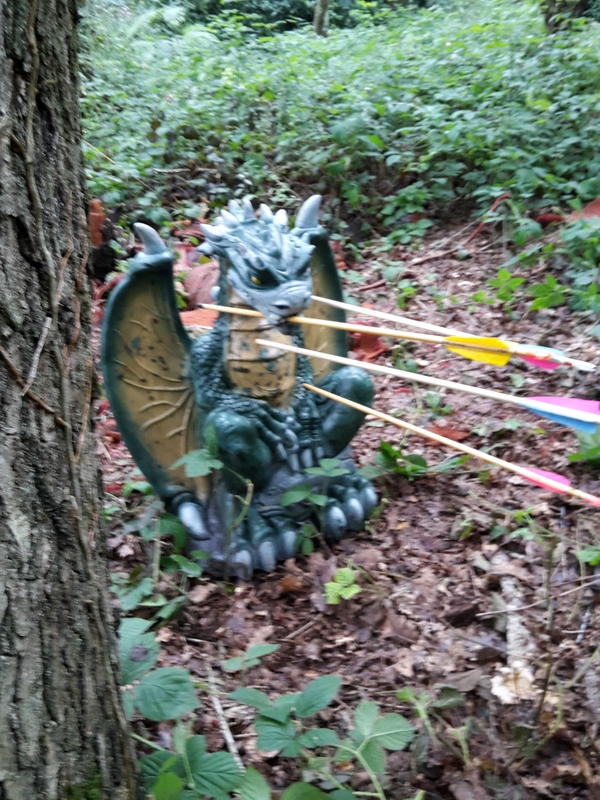 My luckiest shot of the day I think must have been our first target after the lunch break, which was a small 3D dragon, which I managed to shoot through the mouth. Literally skin of the teeth. Another tough shot was a 3D owl between a V in two trees. It looked lovely but wasn’t easy. I’m glad we had done most of the course when the bad weather did arrive as I think it would have gone from challenging to very hard. The rain that had been forecast rolled in in the afternoon and it got very wet. Hence the lack of afternoon photos as I was more concerned with keeping the phone dry. Thankfully we were mostly in the woods by this point. Despite Sharon feeling she hadn’t shot well she won ladies hunting tackle and by some miracle I managed a second place in AFB.